For almost three decades now, RCI Painting ( Rainbow Colors, Inc ) has served as one of the most reliable and affordable painting companies in South Florida. With a well-crafted combination of talented, well-trained employees and state-of-the art services, we have elevated our company to the forefront of the industrial and commercial painting field. 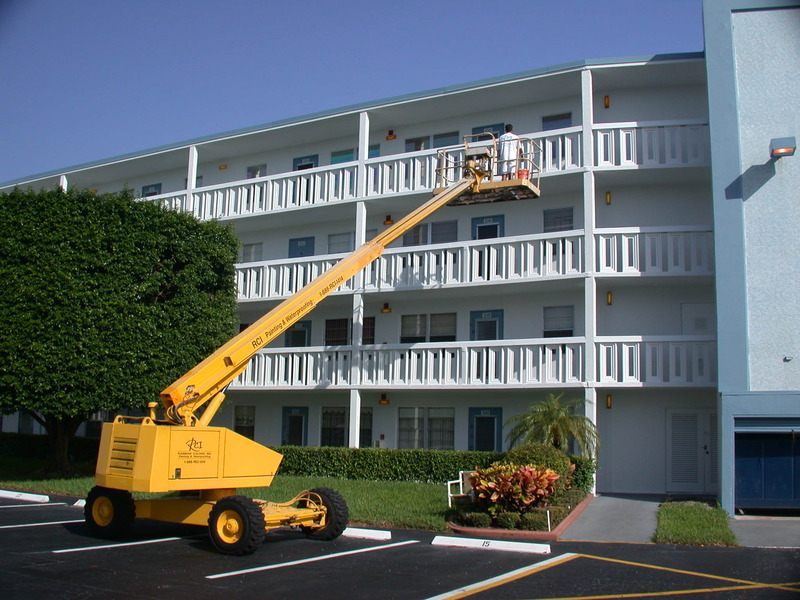 RCI painting contractors specialize in exterior painting and any painting project that you may have in mind. We believe in working hard to ensure that our customers are satisfied when it is all said and done. RCI Painting contractors are dedicated to working hard to bring your vision to life with a paintbrush. Get in touch with us today! RCI Painting contractors are hands on contractors who will pay close attention to your painting needs and formulate a strategic plan to make your dreams a reality. By giving you our undivided attention, we do our part to ensure that you are truly happy with the finished product. Not only are our paint contractors trained to paint your commercial and industrial properties the right way, but they are also taught to work with the employee to choose the perfect coat of paint and take the proper steps to make you happy. Our commitment to providing excellent customer service is one the main reasons why we are regarded as one of the elite painting companies in Palm Beach, Broward and Martin counties. Remember that no matter how difficult your painting needs may appear to be, the quality RCI Painting contractors will have the expertise and know-how needed to make you an incredibly happy customer. We are proud to be a tight-knit, family owned business that will work hard to produce the professional results that you deserve. At RCI Painting ( Rainbow Colors, Inc ), our painting contractors will listen closely to your desires and manage your entire project with a close eye. Even though we are trained to respond quickly to emergencies, our painting contractors work hard to avoid mistakes and finish your project without any setbacks. Remember, your painting needs are our priority.